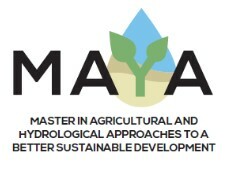 MAYA aims at increasing the professionalism of young students by supporting the development of a new inter-university postgraduate Master on integrated water and agriculture management (IWAM) involving three Tunisian universities. In particular, the project intends to improve institutional and individual capacities and reduce the existing Tunisian constraints linked to the lack of scientific knowledge and technical expertise able to cope with complex issues. The new curriculum will take into account new approaches to tackle with environmental degradation focusing in particular on the quality and quantity of water resources and on the existing linkages between agriculture, water management and environment. The project will be developed carrying out the following steps: 1) An updated needs assessment of the curricula of the involved Tunisian universities related to water and agroecosystem management will be implemented; 2) Depending on the results of the previous step, a new high quality Master on IWAM will be defined; 3) a new e-learning environment will be implemented and new e-learning materials will be created by EU HEIs supported by local teachers and uploaded in the interactive e-learning platform which will be created and used to link the learning activities among the local HEIs and disseminate results and knowledge to other Tunisian universities and stakeholders; 4) 30 local teachers will be involved in an active training where they will learn new teaching and learning methodologies in the field of agricultural and water management to be further applied in the new Master (5) which will be implemented in each one of the local university addressing 60 students. During the Master students will be actively involved in the design of the logical framework of a VR educational game thus enhancing their cognitive capacities and allowing them to tackle complex issues.